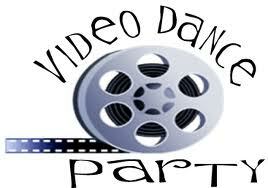 Enhance Your Event with A Video DJ! Spectrum Sound Serving as a DJ/MC/VJ, Lighting and Sound Technician, Event Planner Coordinator. Your Facilitator to Ensure, your Special Event is an Enormous Success! Terry Tunks and his talented team of entertainers have entertained at any thousands of events over the years. Evansville, Indiana, Newburgh, Indiana, Owensboro, KY and all across Southern Indiana and Kentucky. In towns like JASPER, FERDINAND, NEW HARMONY, FRENCH LICK, WEST BADEN, HUNTINGBURG, AND SANTA CLAUS, IN. Based at one time in Louisville, KY As a result of The sponsorship of Coca – Cola. SPECTRUM SOUND is just as comfortable entertaining small groups at a casual affair to 18,000 at the THUNDER OVER LOUISVILLE DERBY CELEBRATION.